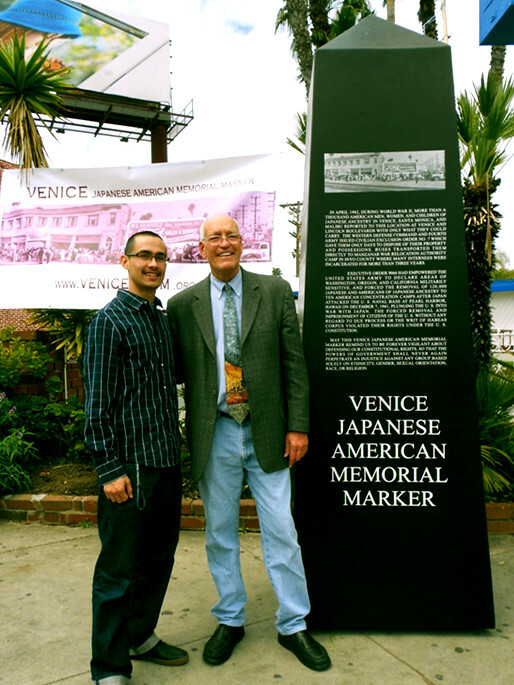 The Venice Japanese American Memorial Marker (VJAMM) is closer to materializing. An agreement has just been negotiated with the adjacent property owner of the car wash, and the project will be able to go forward with building permits soon. Still to be done are soil testing, grading inspection, structural engineering, and a presentation before the Cultural Affairs Commission. But labor costs, materials, fuel, and taxes have increased, so funds must continue to be raised. About $80,000 has been raised to date, but about $20,000 is still needed. 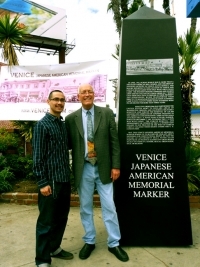 There will be a fundraiser to benefit the VJAMM on Thursday, April 25, sponsored by Hama Sushi Restaurant in Venice. Between 12 noon and 2pm, enjoy a bento lunch for $20 (eat-in or carry out), which includes chicken teriyaki, cucumber and potato salads, spicy tuna and California roll, shrimp and vegetable tempura, plus water or soda. A vegetarian option is also available. 100% of the profits go to the Memorial fund. Return later for a sushi dinner. From 7pm-11pm, 10% of all sales go towards VJAMM.